Toronto Dogs Directory: Global Pet Foods Launches Its "Healthy Pet Journal"
Global Pet Foods Launches Its "Healthy Pet Journal"
Is your pet living its best life? 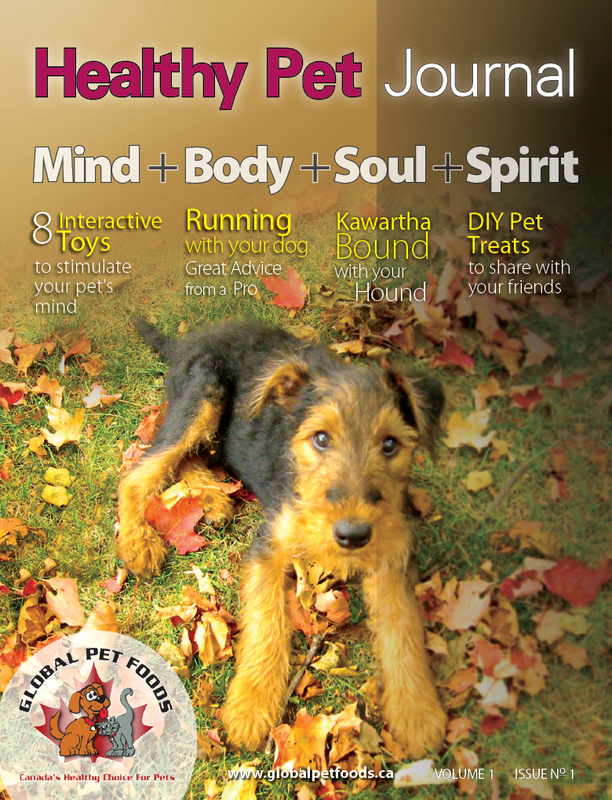 The new magazine Healthy Pet Journal brings play-life balance to your four legged friends! Toronto, ON ( November 15, 2010)Global Pet Foods is excited to announce the launch of Healthy Pet Journal, a complimentary, quarterly magazine dedicated to informing pet parents about the latest health, nutrition and pet news. “We’re all trying to eat healthy, exercise and live a balanced lifestyle. Why shouldn’t that be a goal for our pets too?” says Healthy Pet Journal Editor Jody Stockfish. The mission of the magazine according to Stockfish: to help pets achieve a balanced lifestyle and provide pet parents with ideas to nourish their pet’s mind, body and spirit. “Many pets sit around the house all day waiting for their pet parents to get home from work, which can be very boring. In the magazine you’ll find everything from the latest interactive toys to keep your pet’s mind stimulated - to fun activities you can do with your pet on the weekends,” says Stockfish. •Pet friendly vacation spot: Kawartha bound with your hound! 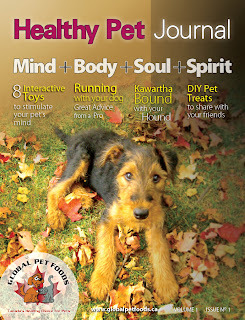 Pick up your free copy of Healthy Pet Journal at your local Global Pet Foods store starting November 26, 2010.